CAKE OR DEATH!!!! Choose wisely!! Or not; hey, it’s alright, they’re the Church of England. We’re really behind on posting shirts. We know, and we’re sorry. This picture was taken on Thanksgiving Day, at the house of Cori’s Brother, Erik Anders. He does some really talented glass blowing. We’ve mentioned him before, with shirt #45. 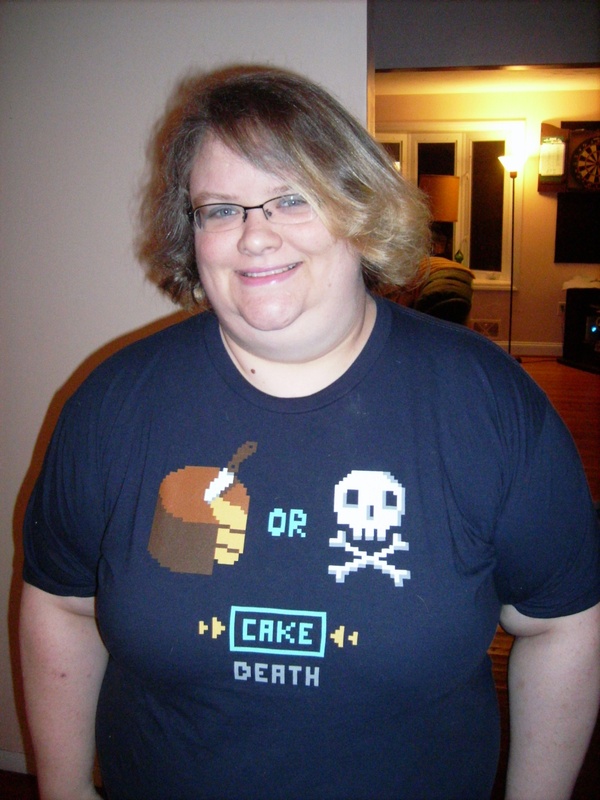 This groovy shirt is in the style of 8-bit games. It’s a Woot shirt. You’re shocked to learn this, I know.